This post about organizing photos has been sponsored by Shutterfly and Global Influence but all opinions expressed are my own. Back when I was younger I used a regular old camera with the old fashioned canister of film. I took my film to the drug store to get developed and put 8 million slightly blurry pictures of my friends, family, and random household items into a large photo album. Organizing photos was relatively simple….just stick them in a book in chronological order. Along come my children and the advent of the digital camera. I was a good mommy and printed all my digital photographs and even managed to make a baby book. Okay, only the FIRST kid got a baby book. Isn’t that the way it always is? Over the years we have gotten busier and it has gotten harder to find places to develop my pictures. Now, I have a hard drive with thirty thousand digital pictures on it and almost none of them are printed out. Organizing photos at this stage of life basically means I transfer everything from the camera to the hard drive about every 4 months and stick a date on the folder. Yeah, I know…not a very good way of organizing photos! However, I recently got asked to try out the new Shutterfly Photo Story App for the iPad and I really think this is an easy way of organizing photos so that if your hard drive ever crashes (knock on wood!) you aren’t left with zero printed photos of your special family moments! 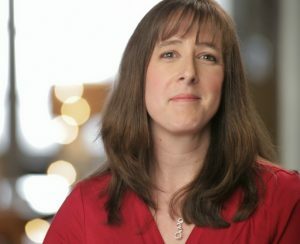 Check out my post about digital archiving to see why we need to have multiple backups of things! Shutterfly Photo Story for iPad App allows you to do more than just print out hard copies of your photos. This app lets you make a photo book you can hold, hear and share. You can tell a story with your photos, and then add text and audio. Once you are done, you can easily order your book or share a digital version with your friends. 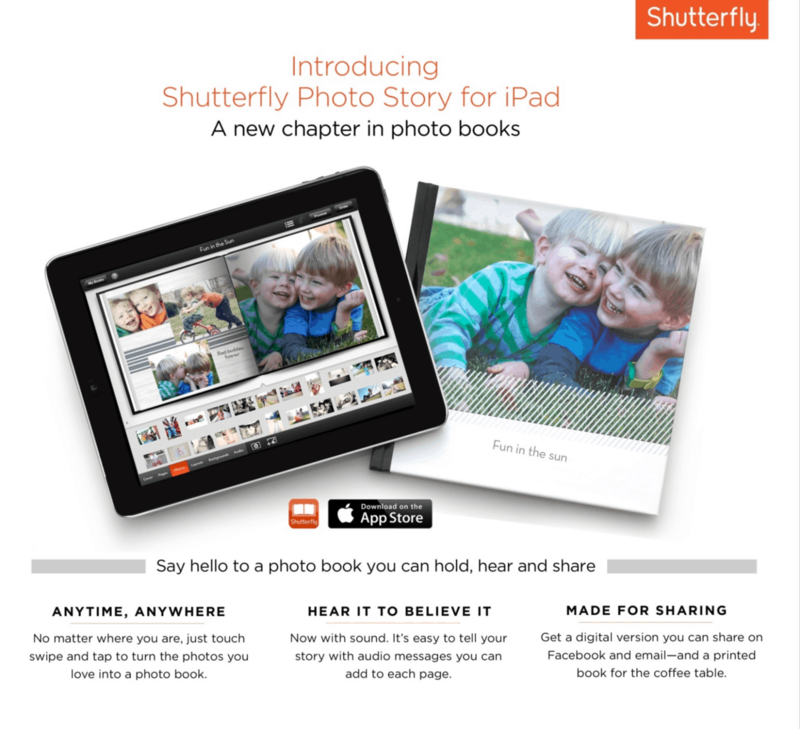 The Shutterfly Photo Story App is free on iTunes and downloading it is quick and easy on your ipad. Once downloaded, the app will ask for your permission to access your photos. You can scan through pictures on Facebook, Instagram, or your photo stream to include in your photo book. You can also connect it to your hard drive and import pictures you may have stored on your computer. Once you load all your photos into the Shutterfly app, next you get to rearrange them the way you want. Cluster pictures together in groups or individually in dozens of different orientations. You get to choose the layout that works best for you. Once you have your photos arranged the way you want, you can start adding in text to tell the story of what the pictures really mean. In addition to text, with the audio recording feature you can tell the story in your own words which is a really unique feature to this app. Organizing photos in the Shutterfly app is really quick and simple. Check out the video below for a quick look inside this great new app! Navigating through the photo book creation process is very easy. The movement of photos occurs with just a swipe of the finger across the surface of your iPad. The layout designs are easy to scroll through and select and the text boxes allow you to adjust the font size so you can add a few more words if you need to. Once you are done organizing photos in the app you can purchase your hard copy photo book directly from the app. You are also given the option of sharing a digital copy with your friends. With the holidays fast approaching, a nice photo book would be a great gift for the grandparents! This is even an app the whole family can enjoy…my daughter LOVES creating collages of photos for sharing with friends! I really had a very easy time of organizing photos with this app and if you are looking for an easy way to keep track of your pictures, I think this photo app is a good choice. If I could make one addition to the app it would be to have a very obvious SAVE button. The app automatically saves every few seconds but I tend to be a bit paranoid about that and would really love to see a save button to click on! Overall, though, I was very happy with my experience using the Shutterfly Photo Story for iPad App. If you want to give it a try just click on the image below to head to iTunes for a download! I love that I can create a photo book offline! I like that you can add sound to it. I love the audio recordings! I like the option to resize pictures on there! I love that you can easily edit the pictures! I think the 30 second audio per page is fun. I love that they will arrange the photos for you, so easy! I absolutely LOVE the audio option! !